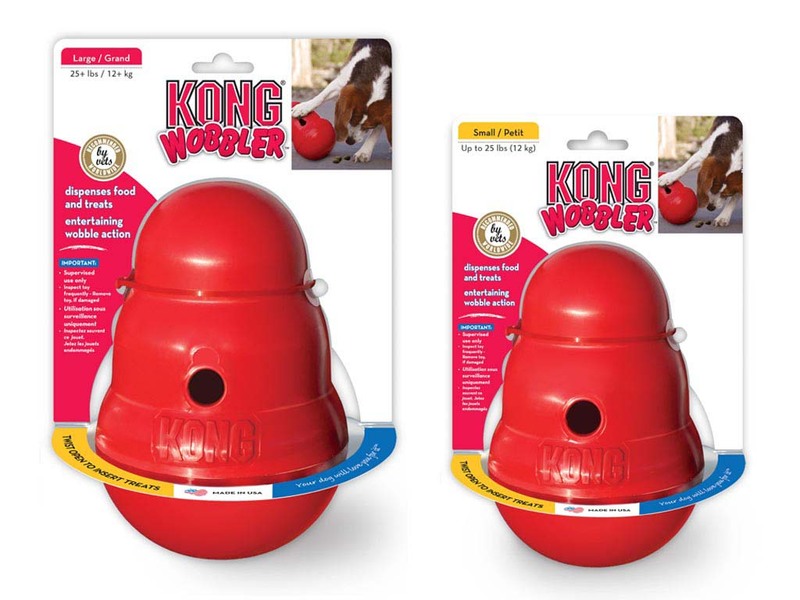 The Wobbler is a KONG-shaped food dispensing toy and feeder that sits upright until pushed with a dog's paw or nose, then dispenses treats as it wobbles, spins and rolls. The unpredictable movement keeps the toy challenging, even for seasoned Wobbler users. 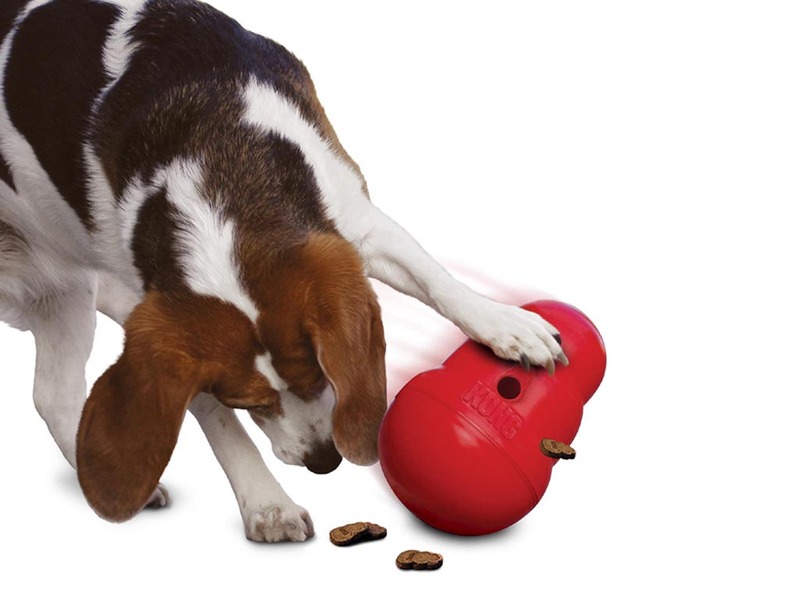 Use the Wobbler as an alternative to a dog bowl and to help extend mealtime and exercise your dog. 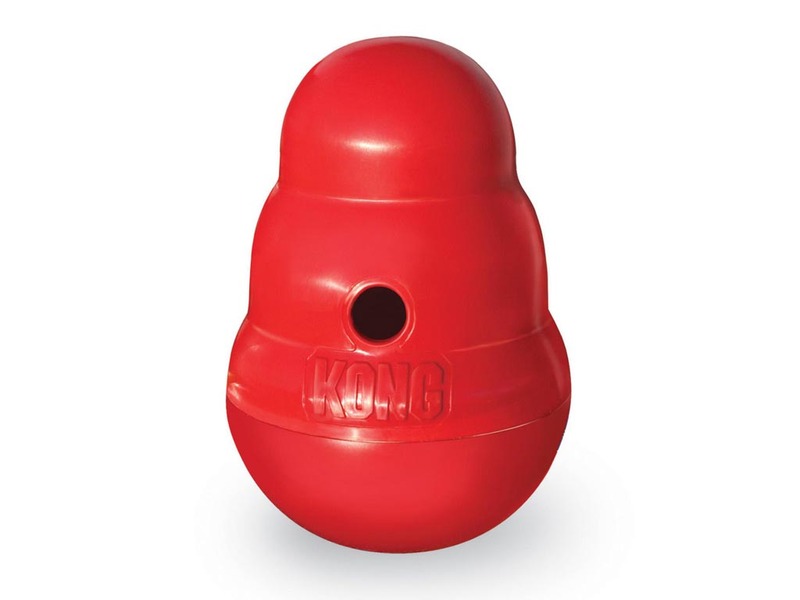 Made of FDA food-approved, high-strength, plastic polymer. Dishwasher safe. Top screws off from bottom for easy filling.